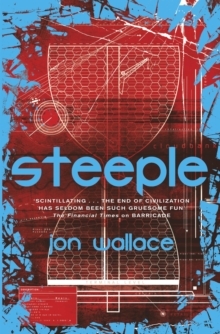 Kenstibec was genetically engineered to build a new world, but the apocalypse forced a career change. These days he drives a taxi instead. 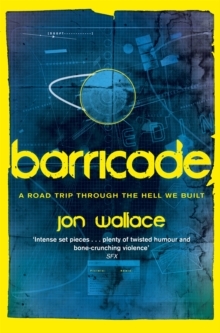 A fast-paced, droll and disturbing novel, BARRICADE is a savage road trip across the dystopian landscape of post-apocalypse Britain; narrated by the cold-blooded yet magnetic antihero, Kenstibec. Kenstibec is a member of the 'Ficial' race, a breed of merciless super-humans. 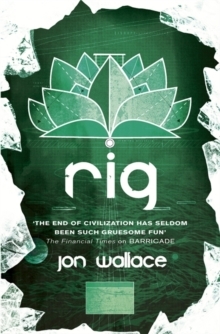 Their war on humanity has left Britain a wasteland, where Ficials hide in barricaded cities, besieged by tribes of human survivors. Originally optimised for construction, Kenstibec earns his keep as a taxi driver, running any Ficial who will pay from one surrounded city to another. The trips are always eventful, but this will be his toughest yet. His fare is a narcissistic journalist who's touchy about her luggage. His human guide is constantly plotting to kill him. And that's just the start of his troubles. On his journey he encounters ten-foot killer rats, a mutant king with a TV fixation, a drug-crazed army, and even the creator of the Ficial race. 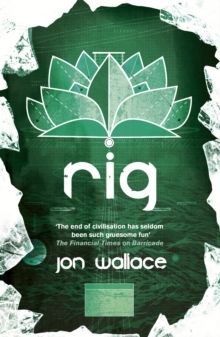 He also finds time to uncover a terrible plot to destroy his species for good - and humanity too.